Why were American troops stationed in a remote outpost in Afghanistan, in a vulnerable position that made them practically sitting ducks for the Taliban? CNN’s Jake Tapper set out to answer this question in his second book, The Outpost, which he discussed in a talk at the Quadrangle Club on Wednesday. Combat Outpost Keating in eastern Afghanistan was located at the base of three steep mountains, which made it an easy target for anyone who wanted to ambush the American soldiers stationed there. The outpost was nearly destroyed in a Taliban attack on October 3, 2009, in one of the deadliest battles waged during the war in Afghanistan. Eight American soldiers were killed. Tapper said the location of the outpost “just seemed dumb,” and the fact that no one had written a story about it before spurred him to delve deep into the tale of the outpost and the soldiers who occupied it. “[The story of] Combat Outpost Keating picked me,” he said. The topic was an unusual choice for a senior White House correspondent who had spent most of his days on the North Lawn of the White House rather than on the battlefield. Tapper acknowledged during the talk that, before he wrote the book, his reporting on the war had only been in terms of troop numbers and the political battles behind the war effort. He had not covered the lives of the soldiers and their family members, who are deeply affected every day by combat and the decisions made in Washington. For two years, Tapper investigated and researched Combat Outpost Keating and the lives of the troops who served there. As he started calling soldiers who were stationed at the outpost to learn more about what happened there, he was surprised to discover that they were very eager to talk to him about their suffering. “They wanted someone to tell their story,” he said. “Eight men were killed that day doing something selfless…[and] I have sacrificed absolutely nothing.…It made me feel I had given nothing back to my country,” he said. 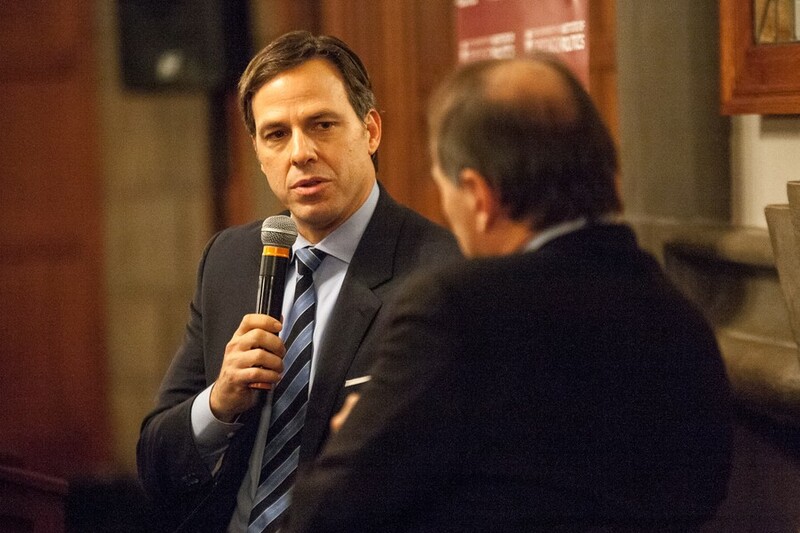 When asked how writing his book might change the way he covers wars on television, Tapper argued that much more can be done to report on soldiers’ stories.